The pleasure of truly seasonal produce is that we eagerly anticipate and appreciate their arrival. There are very few things these days that cannot be bought out of their natural season thanks to improvements in refrigeration and transport but the Jersey Royal potato is one. These prized potatoes are grown on the steep slopes on the island of Jersey and, rather like the classification of champagne, only a potato grown here can be classed as a Jersey Royal. 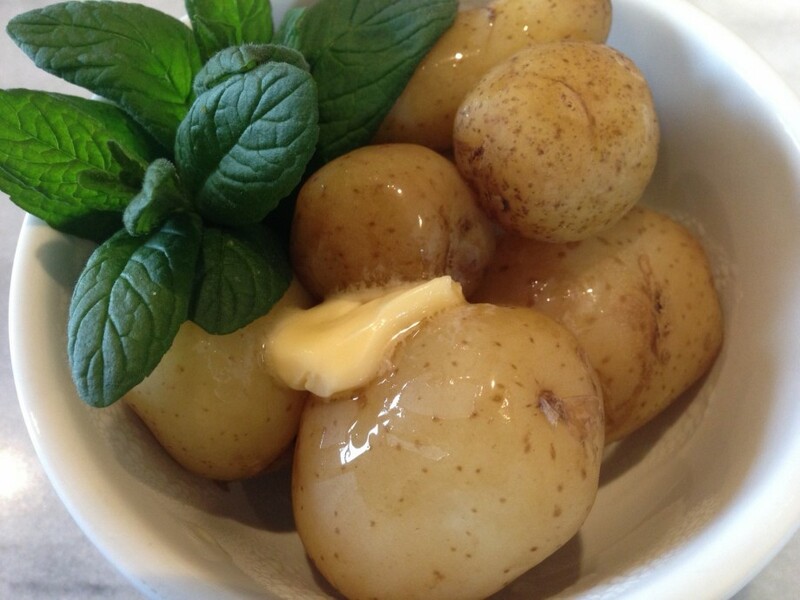 It is apparently the seaweed, harvested on the shores of the island and used to fertilise the fields, that gives the potato its distinct flavour. I admit to not being a great potato consumer but cannot resist either the sweet taste or slightly waxy texture of these little spuds. I rarely do anything fancy with them- to play around too much would risk hiding their unique flavour. Scrubbed clean and boiled in lightly salted water to which a sprig or two of fresh mint has been added is just about perfect. Having said that why not try them in a truffled potato salad. 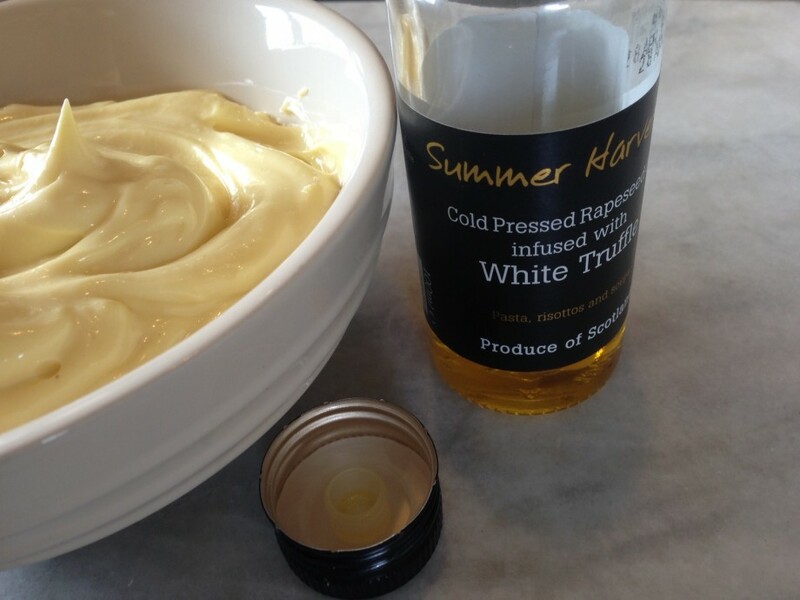 Whip up a plain mayonnaise (see Larder section) and in place of the olive oil substitute some truffle oil-potato and truffle are a perfect union. Or try the salade comtoise in the Meat section- my take on a french classic.